500 yuan is the largest denomination of all known investment and commemorative Chinese coins. It can be found in all of the most popular series, including the Chinese coins of the Golden Panda series, “Lunar Calendar” and “Great People.” The first edition came out in 1982. He gained popularity among investors and collectors from all over the world, as he embodied unsurpassed artistic value, as well as the culture and history of the country. Modern Chinese gold and silver coins are presented in a wide performance. For the first collection in 1979, a panda was chosen – the country’s national animal. 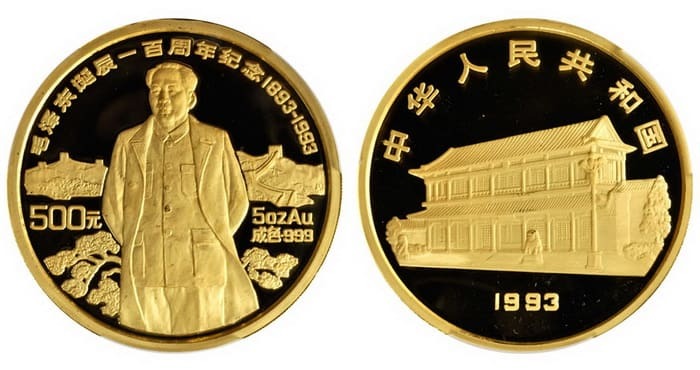 In 1982, the first series with a wide variety of nominal values was minted at the Shanghai Mint. Investors and coin collectors were able to purchase copies of denominations of 200, 100, 50, 25 and 10 yuan (the weight was 1, 1/2, 1/4, 1/10 and 1/20 troy ounces, respectively). In 1983, the nominal value of 5 yuan was added to the collection. 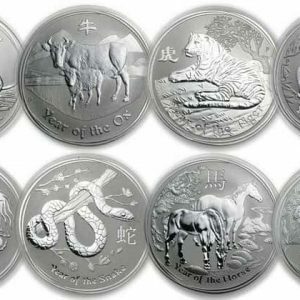 In 1983, the release began of the Chinese coin of the Silver Panda series in different sizes and denominations. Until 2000, the denomination corresponded to the weight of the coin: 100 yuan – 1 troy ounce, 50 yuan – 1/2 troy ounce, 25 yuan – 1/4 troy ounce and 10 yuan – 1/10 troy ounce. 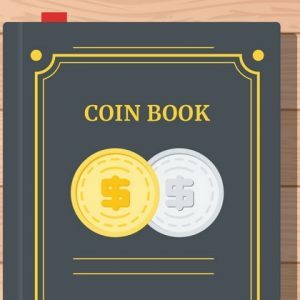 Both investors and collectors liked the idea so much that it was decided in 2001 and 2002 to release in a small amount investment specimens weighing 1 and 5 kilograms. Did you know? After the end of imperial rule and World War II, the Communists in China formed a new government (1949). Since 1950, there has been a ban on gold and silver ownership in the country. China has isolated itself from the West for decades. In 1972, a historic event took place – the visit of President Nixon and Secretary of State Henry Kissinger. The negotiations led to new trade agreements with America and the idea of creating their own investment coins. Between 1982 and 2000, the nominal value of gold and silver “Pandas” did not change, but after 2000, the People’s Bank of China made a slight update on all series. The weight remained unchanged, but the nominal has changed. Copies of 200, 100, 50 and 25 yuan received a new nominal value – 500, 200, 100, 50 and 20 yuan, respectively. Thus, in the series appeared updated “Panda” in denominations of 500 yuan. 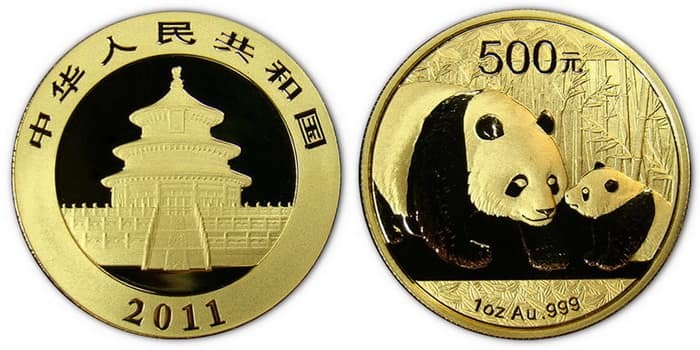 The first Panda series of 1982 was minted as Uncirculated. The design of gold and silver coins was constantly improved. Only a few years later, instances appeared as Proof, Proof like and Brilliant Uncirculated. The mastery of Chinese engravers was recognized as unique and unsurpassed when they managed to artistically convey some elements of 500 yuan along with a photo of a traditional animal. On a glossy basis and a matte pattern, black circles around the eyes, black paws and ears, as well as a fine rendering of wool are conveyed. Did you know? After the first minted Panda series, the coins became a hit all over the world. Because of this hype, the Chinese sent two pandas, called Ling-Ling and Xin, to live in America. Both “bamboo bears” live in the National Zoo of Washington, DC. 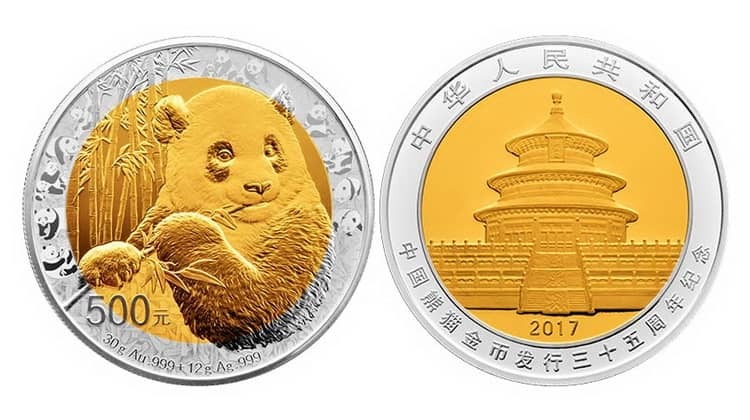 In 2017, in honor of the 35th anniversary of the first release of the Panda, a series of 500 yuan bimetallic was minted. The center consisted of gold, and the ring of silver. The weight of the coin was 42 grams (30 grams of gold, 12 grams of silver), and the diameter is 45 millimeters. A total of 6,000 copies were produced. Commemorative coins of 500 yuan of the People’s Republic series are made of gold of the highest standard (999/1000) as a Proof. Circulation is limited to only 100 copies. Due to this feature, there is an increased demand for individual samples. The price of some coins of this series on the numismatic market is 3-5 times higher than the cost of the precious metal from which the coin is made. Weight is 155.515 grams, diameter – 60 millimeters. Did you know? The quality of investment and commemorative coins is so high that the Mint of China resorted to adding the letter “P” for samples minted as a Proof. This add-on is intended to help collectors distinguish between conventional “Pandas” of mass production and limited editions. In 1988, the Lunar Calendar collection was filled up with a 500-yuan coin with a dragon. The following year, a new edition, the Year of the Snake, was released, in 1992, the Year of the Goat, and in 1993, the Year of the Rooster. In 2000, collectors got the opportunity to purchase a Lunar with an unusual shape and a dragon image. 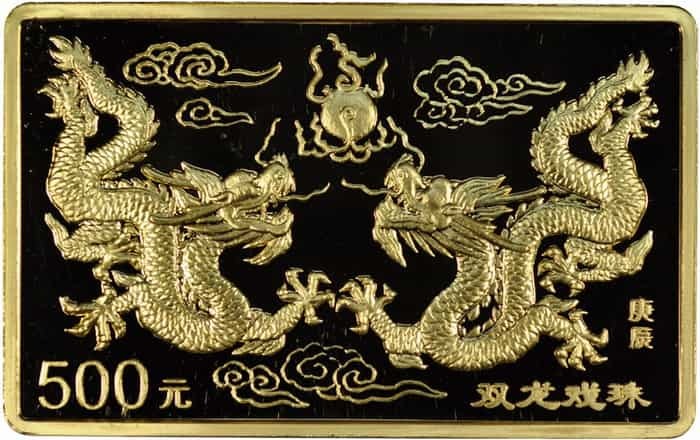 The 500-yuan coin in the shape of a rectangle looks like a picture in which two dragons are depicted in jewelry. Its weight is 155.52 grams. 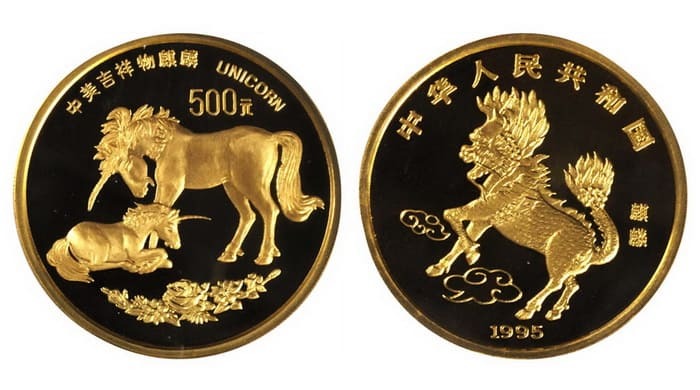 In 1994, a series of mythical animals in China was filled up with a 500-yuan coin featuring a unicorn. The idea was so much liked by collectors that in subsequent years (1995 and 1996) specimens were minted with the same denomination, but with a different design. The surface of the new “Unicorns” was immediately adorned with 2 types of the mythical animal – the European and Chinese versions (Qilin). The collection is incredibly popular domestically. Individual instances taken to give joyful events. The appearance of the investment and commemorative coins of China is one of the main reasons why the collection gained its well-deserved popularity among coin collectors and investors. Since 1982, the design has been regularly improved. If on the first samples of 500 yuan there are no complex elements and refined details, then 4-5 years later, the quality of minting corresponded to world standards, and in some cases exceeded. The coins were issued as a Proof along with the South African “Krugerrand”, the American “Eagle” and the Austrian “Philharmonic”. Did you know? Over the entire production period of investment coins in China, three “giants” of gold were issued. In 1991, a copy of the Panda weighing 5 kilograms was sold for 1,567,190 $ USD, in 2000 a ten-kilogram coin was bought for 1,000,000 $ USD. In 1992, a commemorative sample from the Lunar Calendar series was sold for 1,298,000 $ USD. 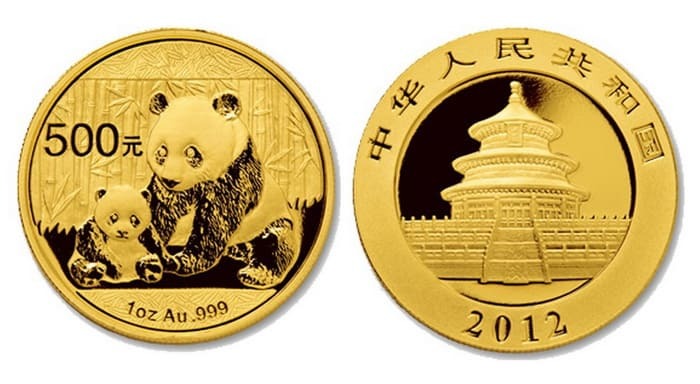 The world-famous “Panda” bribed numismatists with annually changing designs (except for 2001 and 2002). Every new year they released a collection with a fresh image. The Bamboo Bear was sitting on the bank of a river, hanging from a tree branch, resting, eating bamboo leaves, walking along the coast and along a grove, and also caring for the calf. 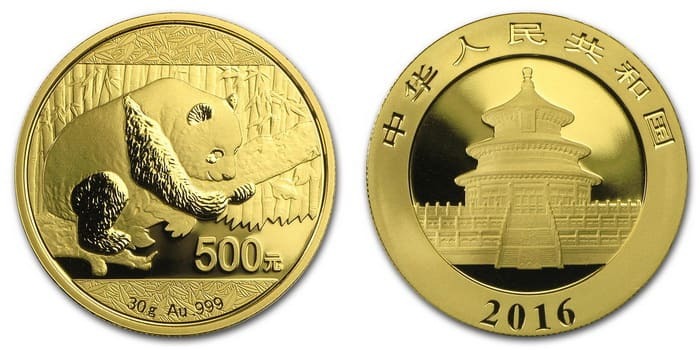 Some coins, such as 500 yuan in 2012 with the image of a panda mother with her cub, have a slightly higher price due to perfectly designed design and artistry. The largest circulation of 500 yuan of the Panda series. The first samples minted in the amount of 10,000 pieces. 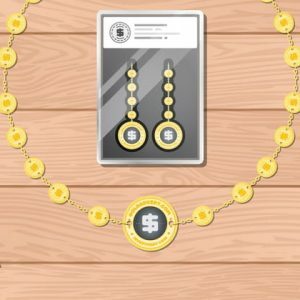 A few years later, the series was increased to 20,000 coins. 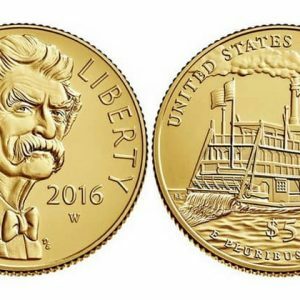 In recent years, gold investment coins with the image of a national animal have been minted in the amount of 70,000 pieces. Did you know? Since gold and silver (and later platinum) investment coins were exclusively exported, circulations were relatively small. That all changed in 2004, when in China legalized ownership of precious metals. Since then, the country has become the largest consumer of gold in the world. In 2001 alone, the Central Bank purchased 428 tons of gold. Also, since 2004, less and less investment coins are making their way outside of China. Residents are willing to buy (return for large sums) from the West that was sold before the new law. The price of 500 yuan consists of two parameters – the numismatic value and the weight of the precious metal. Despite the fact that many investment coins are valued at the current value of gold or silver, “Panda” and “Unicorn” are worth much more.